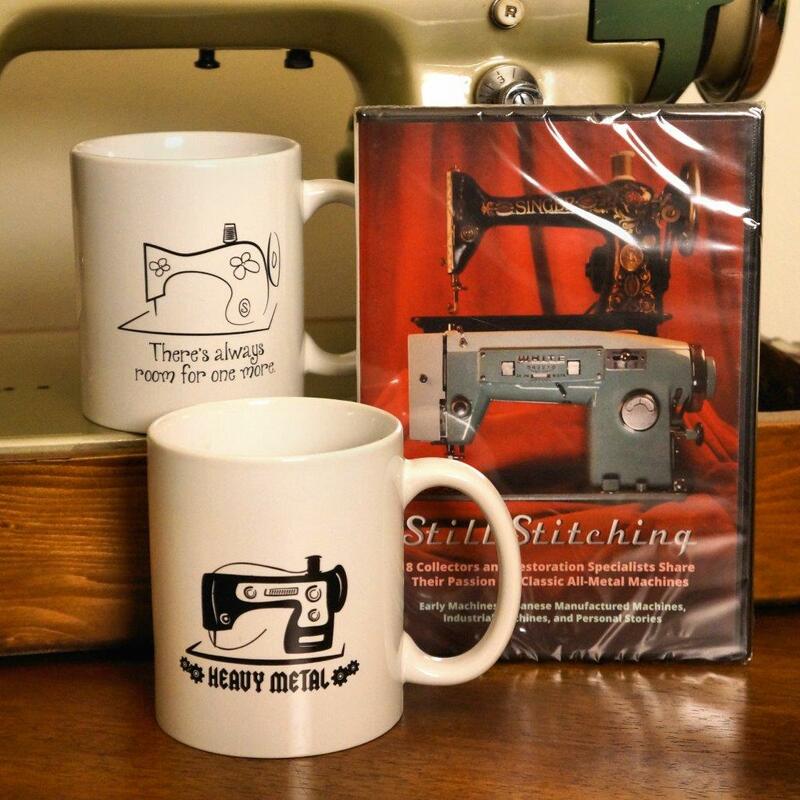 James Wolfensberger films discussion with Joe Brennan for Still Stitching. 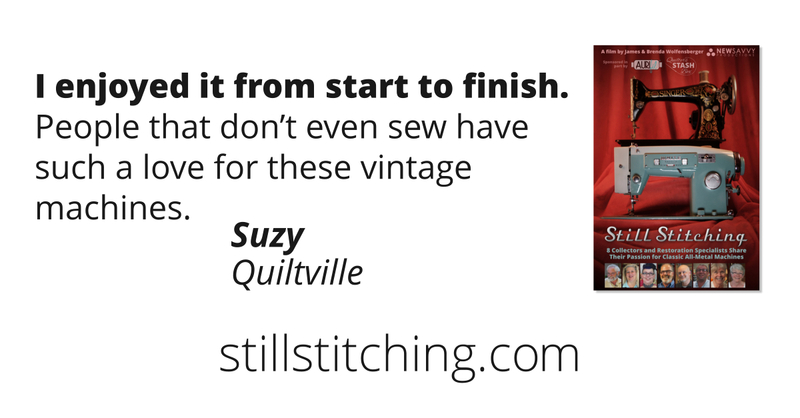 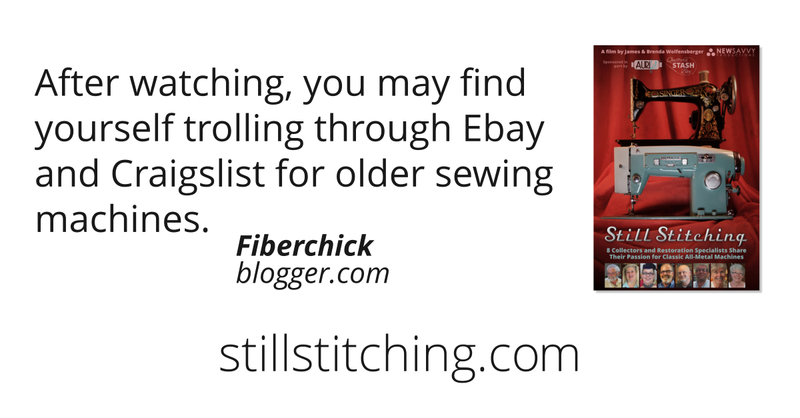 Our documentary Still Stitching was released in 2015 with support from Aurifil Thread and Quilter's Stash Box. 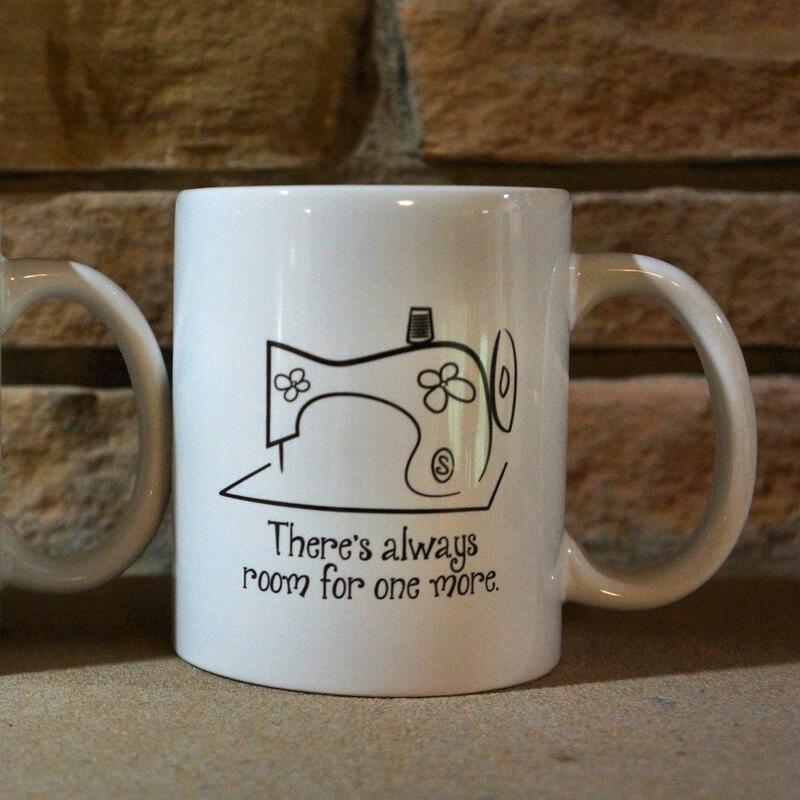 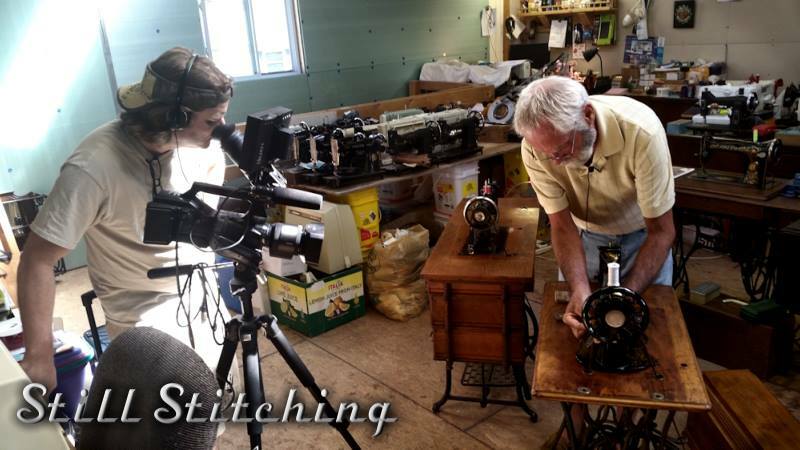 It is the only feature-length documentary ever produced on the subject of vintage sewing machines. 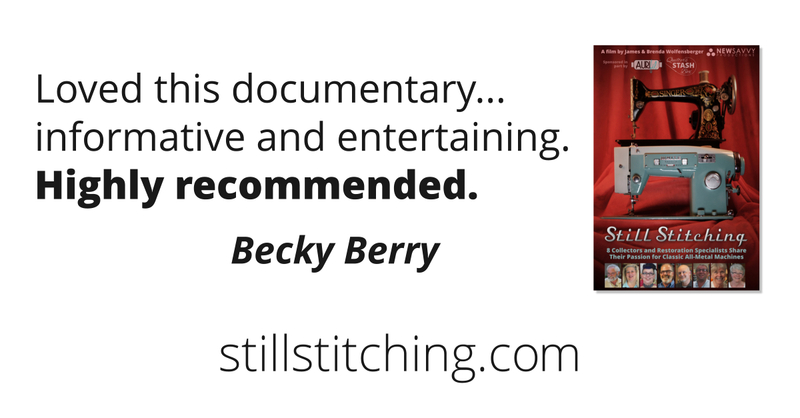 It can be purchased as a DVD, or streamed on-demand. 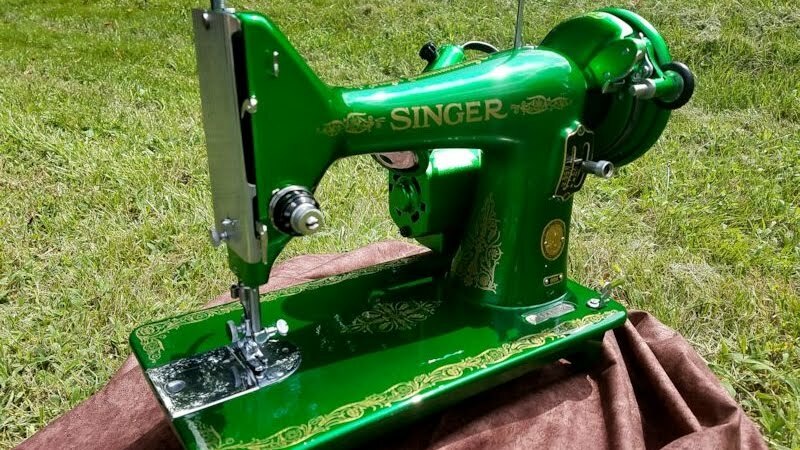 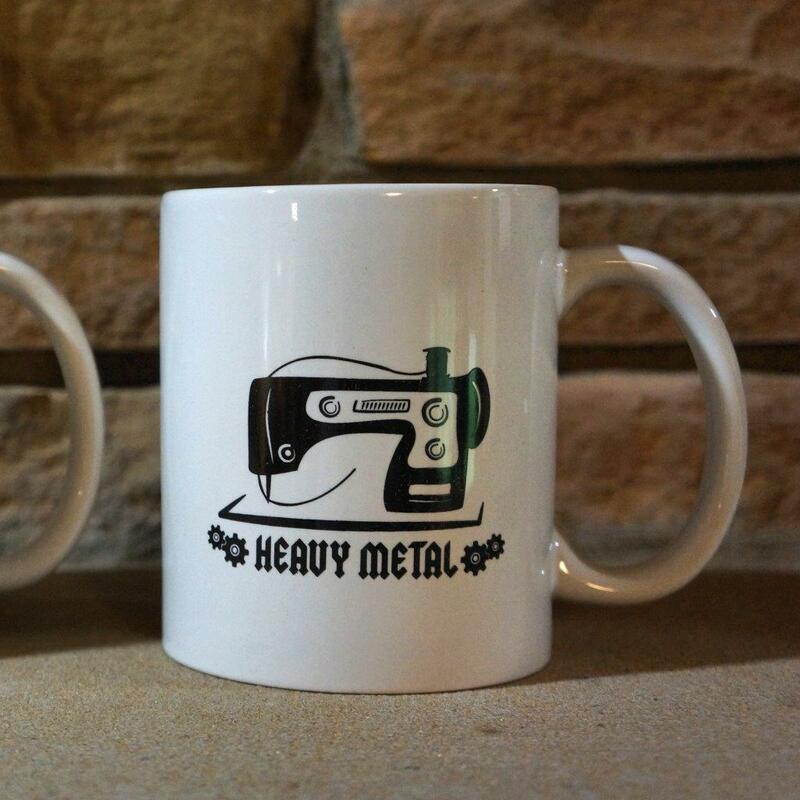 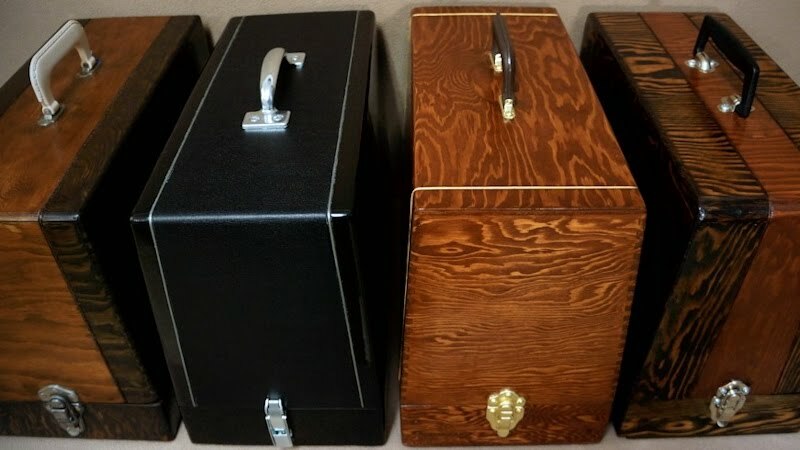 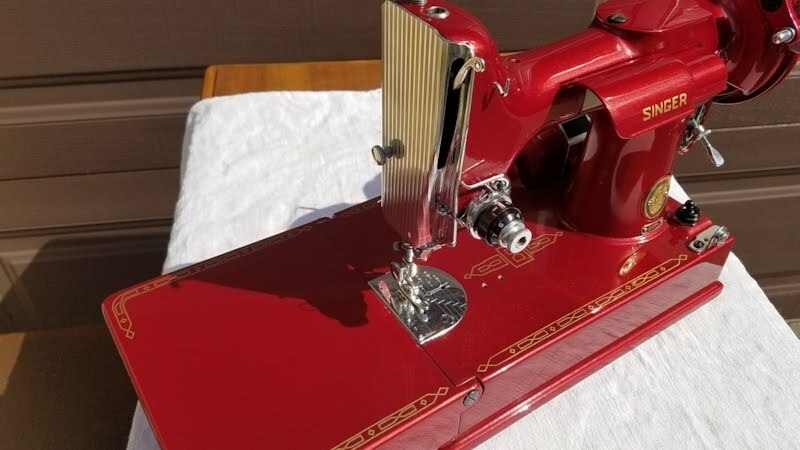 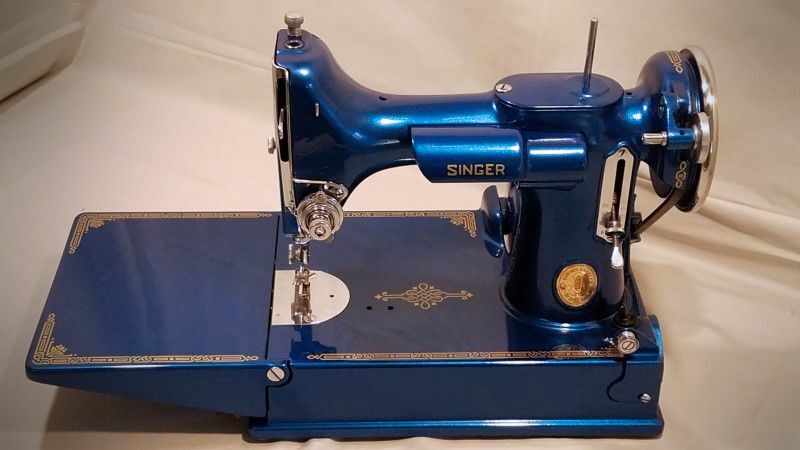 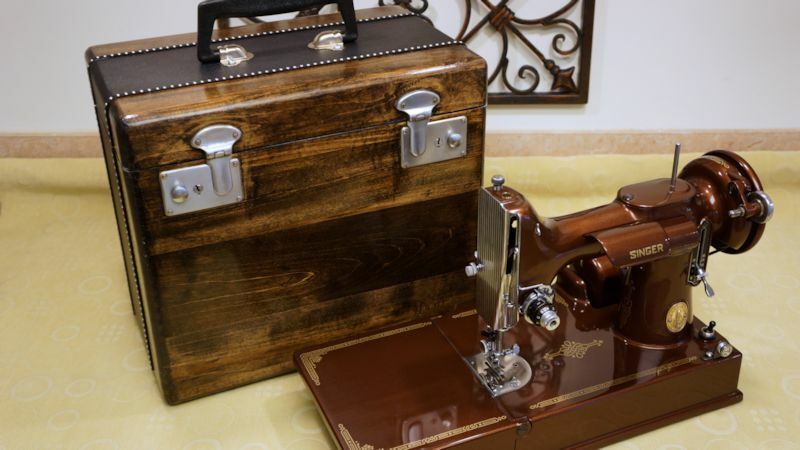 Vintage sewing machines represent a bygone era of meticulously crafted all-metal machinery, a time when America and other industrious nations built durable classic machines to be passed down from generation to generation. 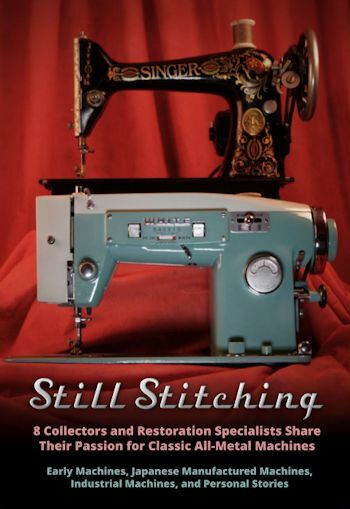 Still Stitching explores the profound impact of the sewing machine, and the benefits that domestic sewing machines brought to families. 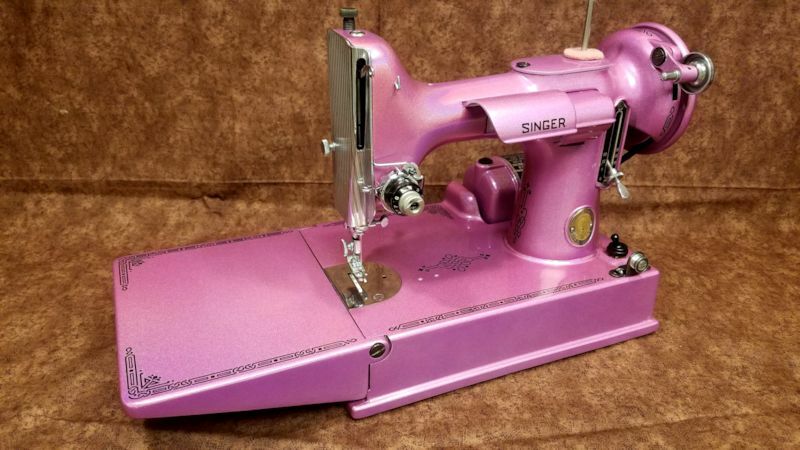 Dozens of lovely models and technical features are discussed. 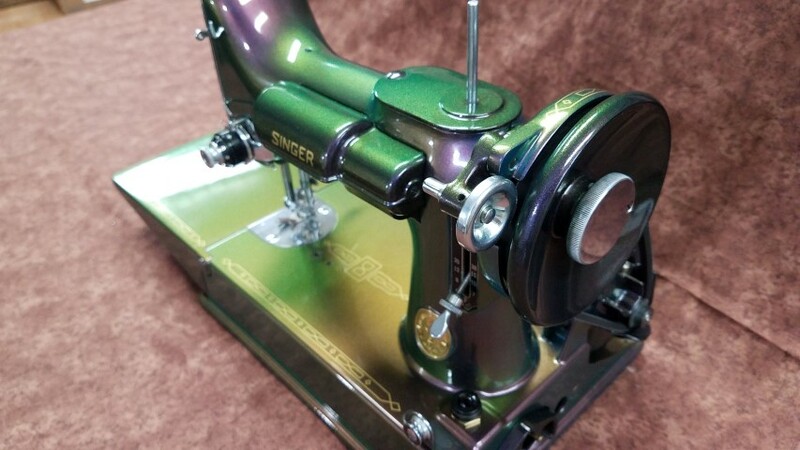 From the days of the “patent wars,” to the explosion of Japanese “clones” of the Singer model 15, the history of these powerful beauties is as deep as the passion shared by countless collectors, enthusiasts, restoration specialists and those who continue to sew on vintage models. 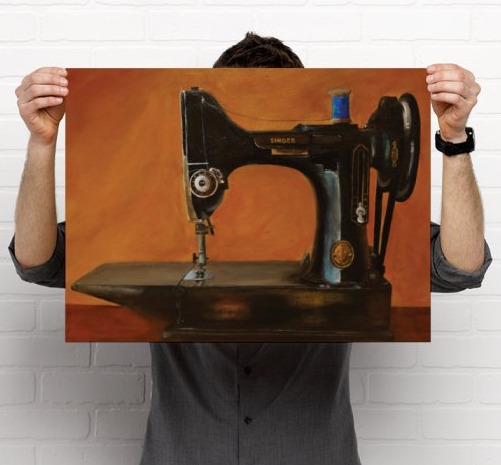 Featuring: Joseph Brennan, Karen Castor, Danna L. Fore, Scott Kennedy, Will McCann, Renato Pace, Terry Craword Palardy, and Cathy Racine. 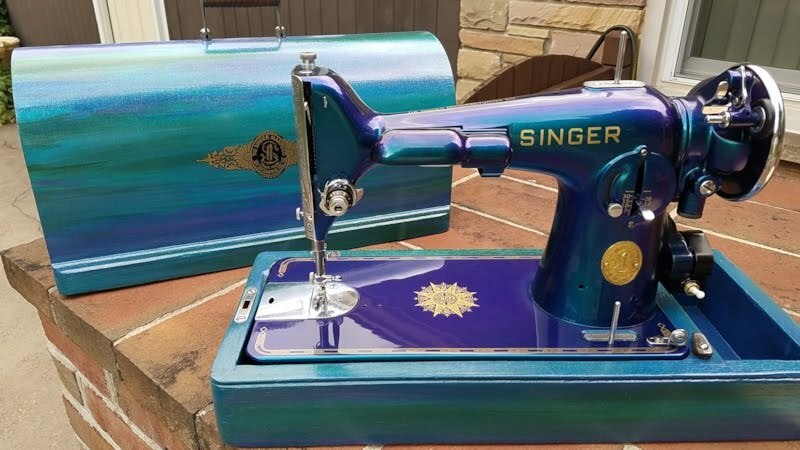 James and Brenda Wolfensberger have produced documentaries focused on the topics of generations and fascinating people, as well as producing commercial work within the quilting industry - such as an instructional DVD for renown quilter Lisa Calle. 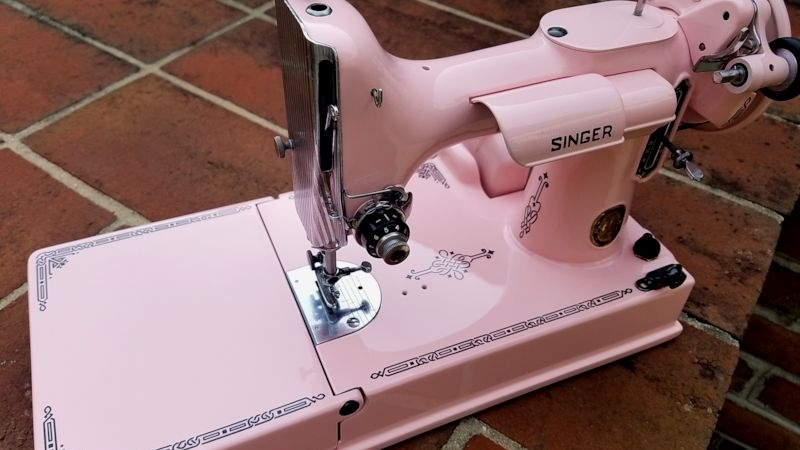 Their film on Icelandic surgeon and sculptor Magnus Agustsson, The Art of Being Magnus Agustsson, was an official selection at the Kingston Film Festival in New York. 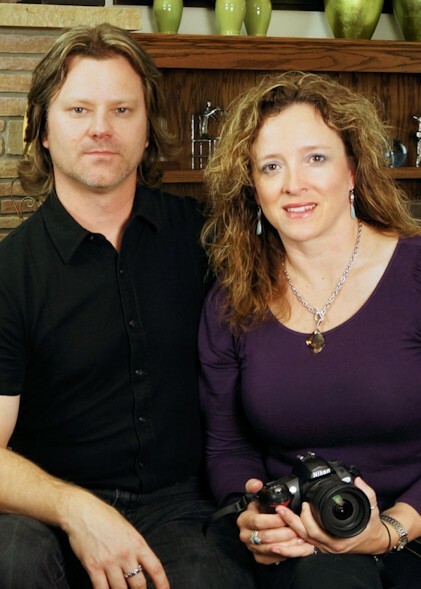 James and Brenda have four children and reside in Western Maryland. 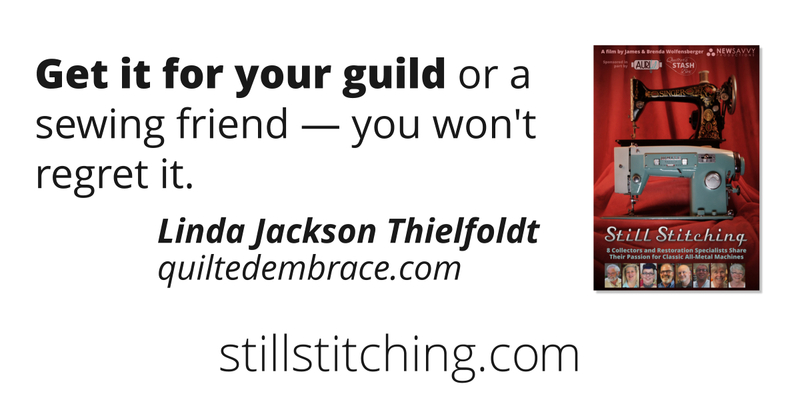 Brenda is a quilter and the creative vision behind Quilter's Stash Box. 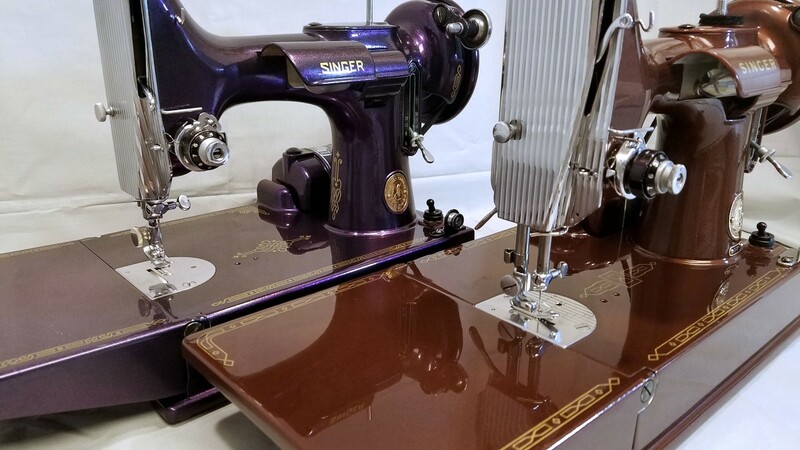 They divide their time between multiple endeavors, including their greatest shared passion, the preservation of vintage sewing machines.